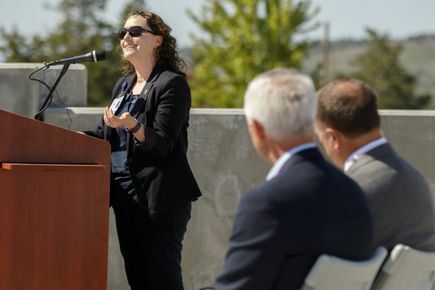 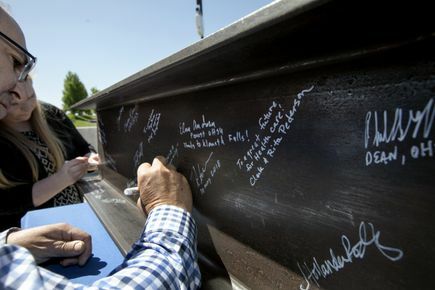 Officials are celebrating the beginning of a $50-million project that aims to improve health care in south-central Oregon by encouraging collaboration and innovation between local health care professionals and OHSU students and resident physicians who want to better serve rural Oregonians. 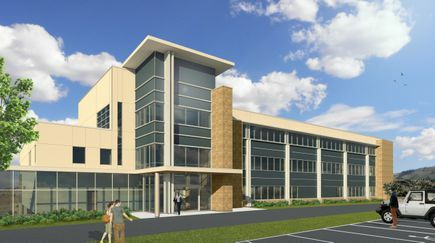 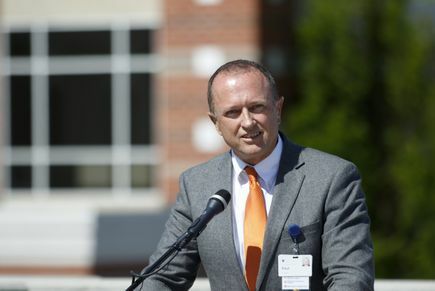 The resulting Sky Lakes Collaborative Health Center is expected to be completed in late 2019 and open for business in 2020. 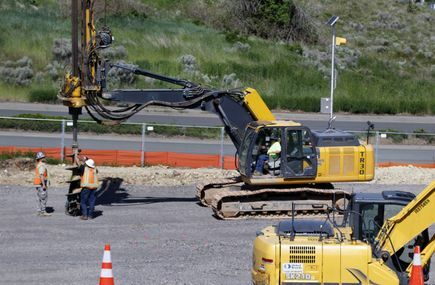 The center’s construction is the product of a partnership between OHSU, Oregon’s only academic health center, and Sky Lakes Medical Center, a non-profit, community-owned hospital that serves Klamath and Lake counties. 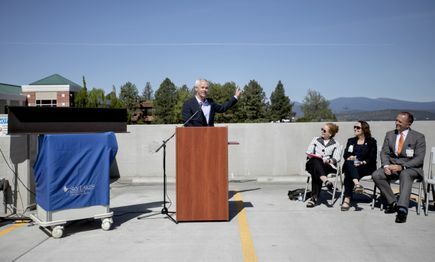 Speakers at today’s groundbreaking ceremony included Elena Andresen, Ph.D., OHSU executive vice president and provost, Paul Stewart, Sky Lakes president and CEO, and Joyce Hollander-Rodriguez, M.D., director of the Cascades East Family Medicine Residency Program and regional associate dean of the OHSU Campus for Rural Health, Klamath Falls. 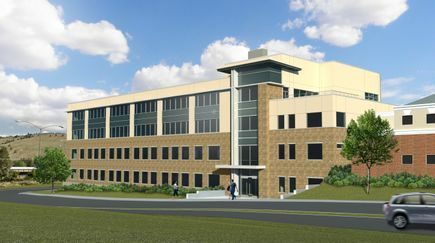 The four-story, nearly 100,000 square-foot building will serve as a central home for most of Sky Lakes’ primary care providers. 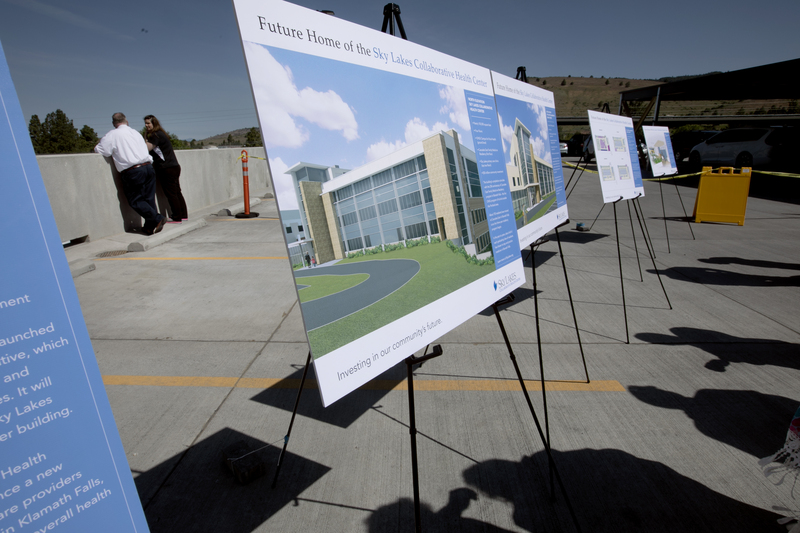 OHSU staff and students will train and learn in building’s bottom two floors, while the top two floors will provide a new home for Sky Lakes medical clinics. The ground floor will be home to OHSU’s Campus for Rural Health, which brings interprofessional teams of students to rural Oregon so they can learn and practice community-focused health care. 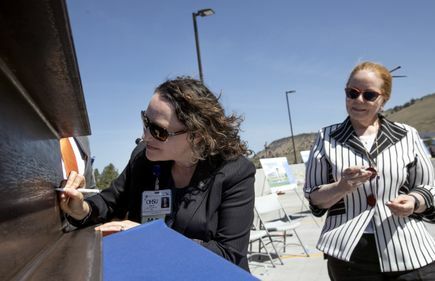 The program has brought about 190 medical, nursing, dentistry, pharmacy and physician assistant students to Klamath Falls since 2015. 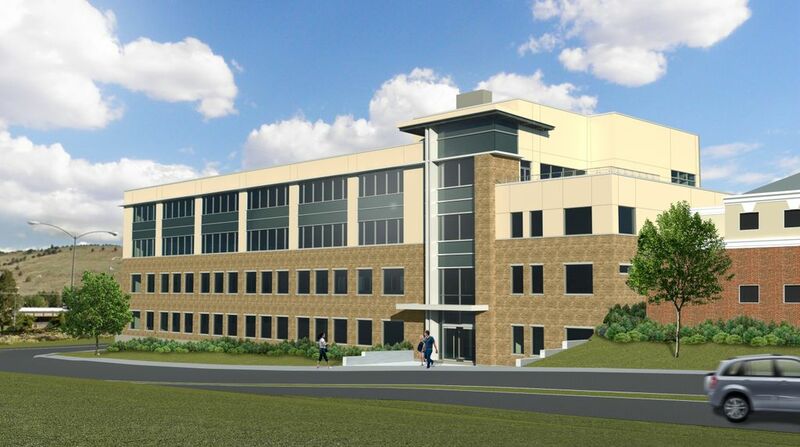 At the heart of OHSU’s ground-floor space will be a health care simulation center, where OHSU students can practice providing care in a multiple-bay simulation theater and exam rooms occupied by high-tech mannequins and actors portraying patients. The simulation center will also be made available to health professional students at Oregon Institute of Technology and Sky Lakes staff and community members for professional development activities. 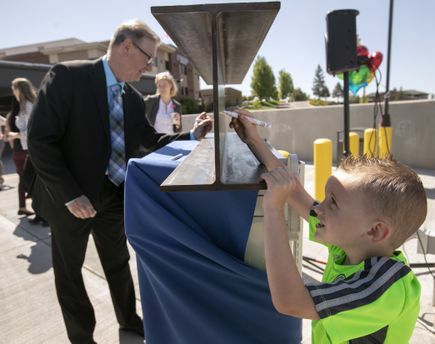 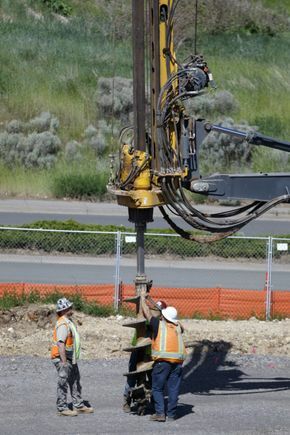 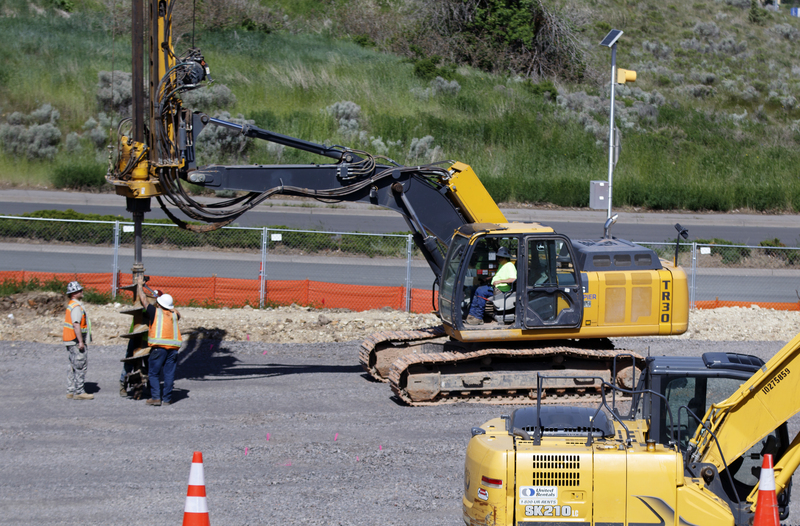 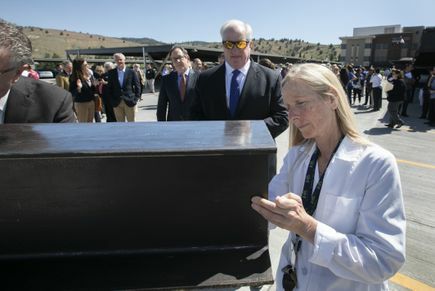 The new building is an example of OHSU’s long-held commitment to the Klamath Falls community. 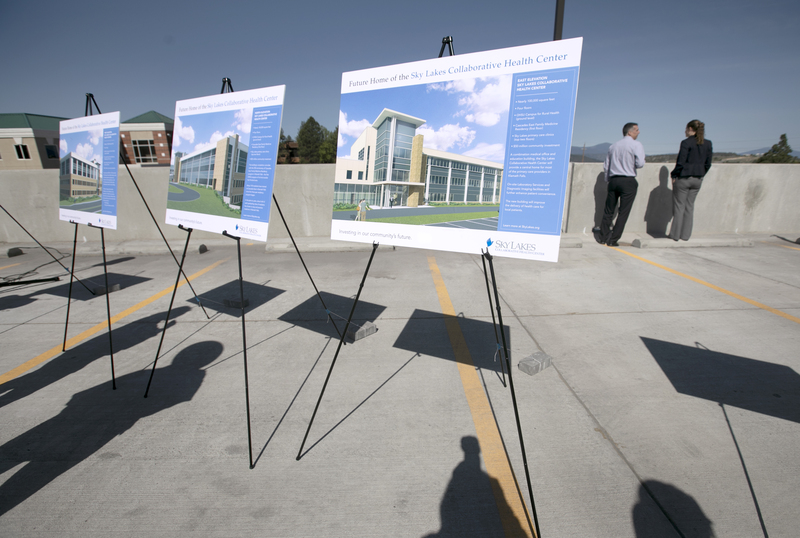 The Cascades East Family Medicine Residency Program trains new physicians by providing hands-on experiences to learn and serve the community. 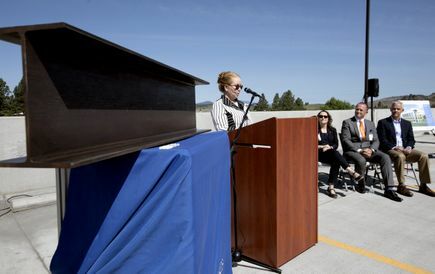 The program’s residents and faculty staff the Cascades East Family Medicine Clinic, which provides care for about 10,000 community members and will now be housed in the new building. About 150 resident physicians have been trained through the program since 1994. In the past six years, about half of each graduating class’ eight residents have decided to stay and practice medicine in the Klamath Basin. Klamath Falls has also been home to an OHSU School of Nursing regional campus, which has been located on the Oregon Institute of Technology campus since 1993. 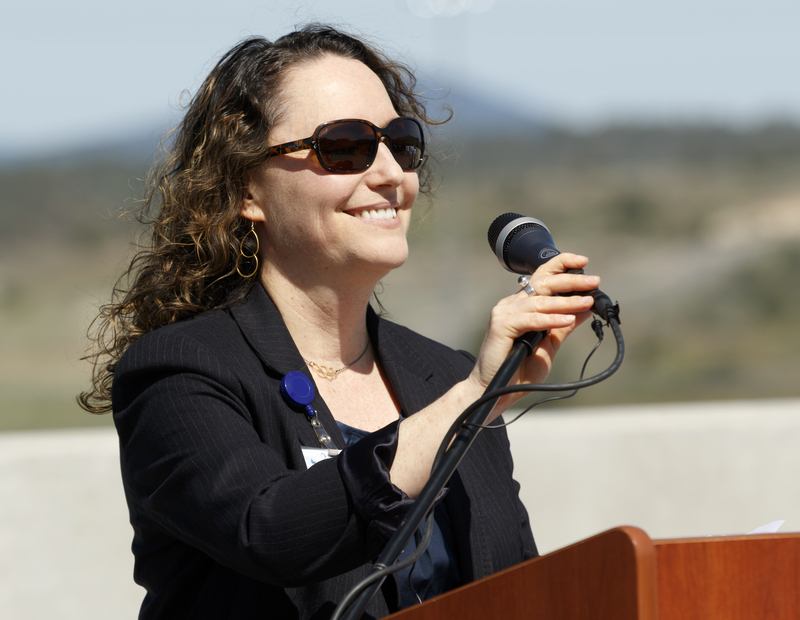 About 500 OHSU students have earned nursing degrees through the Klamath Falls campus.